Poetry Tow Truck 43: Been Caught Stealing | Put Words Together. Make Meaning. “Good poets borrow; great poets steal.” This quote, often attributed to T.S. Eliot (many feel erroneously), does recognize one truth about art: that nothing is ever completely a new idea. Making a familiar image, idea or experience feel like something new is the job of the artist. And sometimes a little good-natured (and properly attributed) thievery can light a spark for a brand-new piece of art. Find a book of poetry that you have been recently reading. (Or, if you don’t have many poetry books at home, then use the internet to search poets.org for some poems to read.) Choose three or four lines that you particularly like and write them down. Decide on one of the lines to use as an epigraph to inspire a new poem, or choose a title from one of the lines. Be sure to attribute the line to the original poet, but take that image, mix it around in your own melange of experience, and create something completely new. their eyes glinting in the glare of my intentions. to the ground, burdened with my many failures. Purloin a line or two of your own and give it a try. 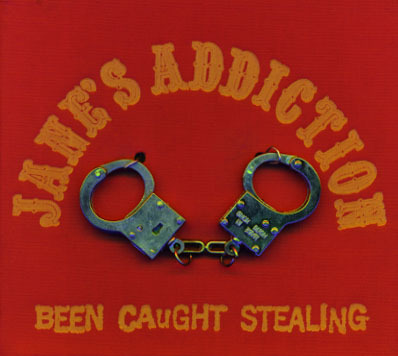 *In case you haven’t noticed, the names of my posts often come from song lyrics, today’s from the title of a Jane’s Addiction Song. This entry was posted in Poetry Tow Truck by Donna Vorreyer. Bookmark the permalink. I like this prompt, Donna. Ah, we don’t steal anymore than we steal the rays of the sun. Echo. Attribute. Honor. But take what you need to create! Very true. You are a wise man, Mr. Mesick. Part of my haiku was purloined, as per your instructions!